Home > Trailers > E3 2017: Monster Hunter World looks great, but is it better than Toukiden 2? E3 2017: Monster Hunter World looks great, but is it better than Toukiden 2? For the first time, Monster Hunter will come into direct commercial and critical competition with its rival, Koei Tecmo's oni hunter, Toukiden. 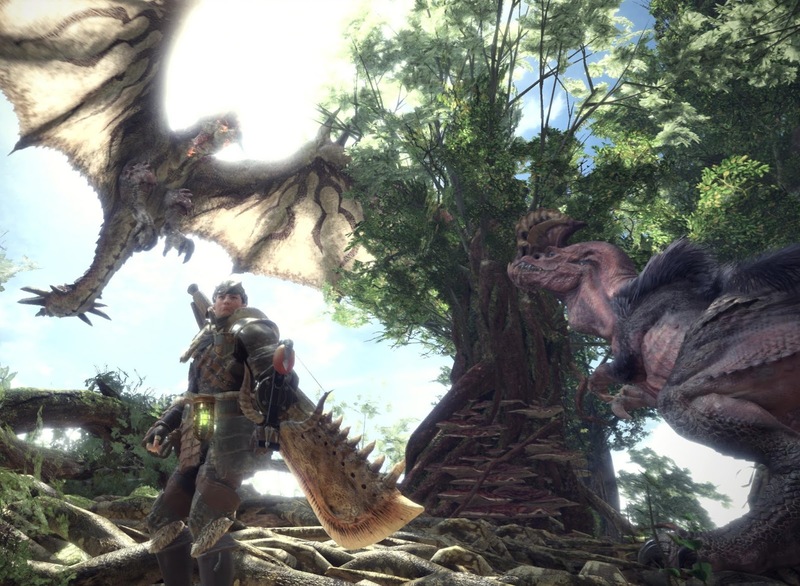 For the first time, players will be able to directly compare a Monster Hunter game to a Toukiden title as both Toukiden 2 and Monster Hunter World arrive on the same console. Related reading: Matt's review of Toukiden 2; the game that Monster Hunter needs to beat on PS4. Toukiden's going to take some beating. It happens to be a really, really good game. That's not to say Capcom can't do it - the publisher did invent the genre, after all - but after years of working exclusively on handheld consoles, you've got to wonder if the development teams are up to the task of bringing it to the big screen. It looks good, at least. Sony debuted a trailer for the game as part of its E3 show, and we see lush environments, hulking monsters, and even two of the beasts attacking one another. We see that there looks to be a huge range of strategic options in approaching the monsters; stealth has a much greater focus, for example. On top of that, terrain is far more destructible, and being able to manipulate the terrain around you will give you a big leg up on the monsters. As with all Monster Hunter games, the experience will be built around having those multiplayer adventures together, and Monster Hunter 4 allows for up to four players to team up. The game's going to be released on Xbox One, PlayStation 4 and PC, but it looks like the PS4 will be the platform of choice, as players will gain additional goodies that Xbox and PC players will miss out on. But again, we have to go back to Toukiden. Toukiden 2 was a game that added quality storytelling, an open world, and other little features that helped it - and the genre - take that next step forward. Capcom is infamous for being conservative with its Monster Hunter franchise, and I do have to wonder that, in the absence of innovation, is there a chance that fans will start to draw the conclusion that the crown for the genre has left Capcom's hands?